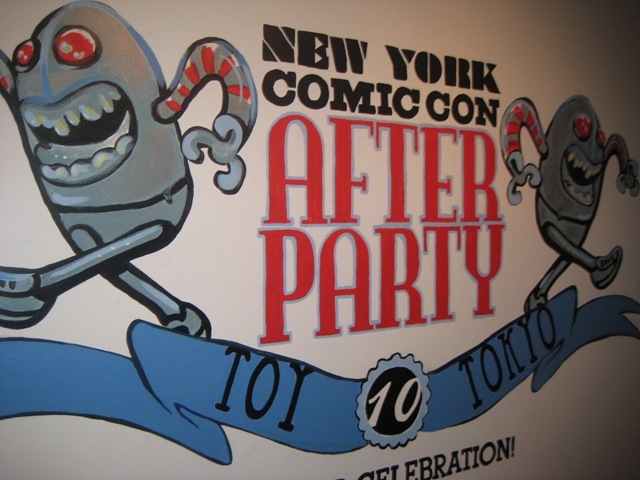 Quite a few events occurred right after the opening night of NYCC, one of them being Toy Tokyo’s 10 Year Celebration and NYCC After Party. They hosted a long night of music, drinks, food, and some sharing of their new showroom space and shop location. The party was a blast and was a good to see everyone from The Cultyard in a relaxing and non stressful setting. Pictures of people getting their groove on after the jump! 320 W. 37th st (btwn 8th and 9th). Here’s a dizzying look at the mix + match possibilities offered by Amanda Visell’s upcoming release of her Big City Gods resin sets (1 god + 1 building) for the NYCC After-Party sponsored @ Concrete on October 8th sponsored by the Baroness and Clutter. Looks like two primary creature sculpts – lion and bat, plus plenty of color and deco variety. 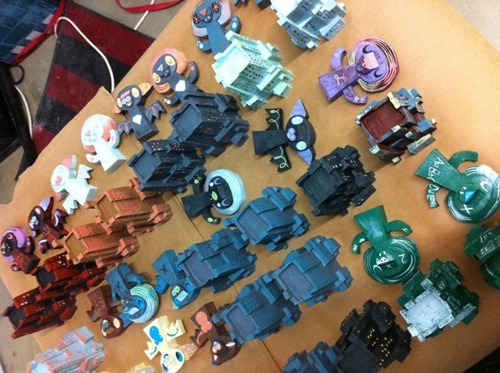 The Big City Gods are limited to 100 sets @ $175 / set. 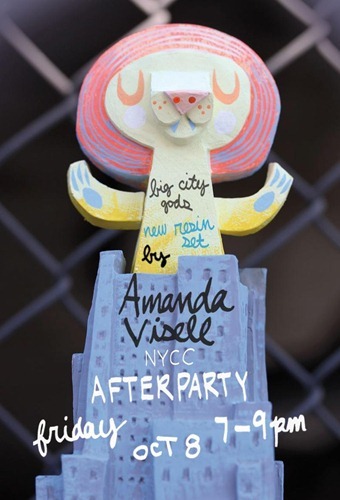 Amanda Visell will drop her new Big City Gods resin sets at an NYCC After Party (10.8, 7-9 PM) @ Concrete sponsored by the Baroness and Clutter. Limited to 100 sets, each hand-painted, hand-cast set features one building and one God for $175. There are several different available Gods and different colors which means endless hours of mix and match mayhem. The lion above is a shoo-in, and it looks like there’s a Bat god as well if Amanda’s twitter is any indication. 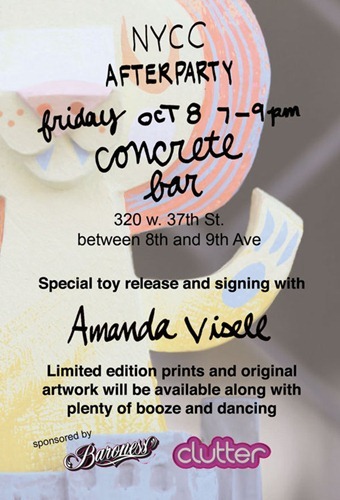 New York Comic-Con is almost upon us (October 8th – 10th) and in addition to the new Cultyard section within the convention center, there are lots of cool toy + art events going down at the same time including this NYCC Afterparty on Friday October 8th (7-9 PM) @ Concrete Bar featuring a toy drop and signing from Amanda Visell. Sponsored by the Baroness and Clutter, the show will also feature limited-edition prints and original artwork.